Good morning and welcome to Vegan MoFo 2015! We at Veggie Product Reviews are so happy to be participating! This is our first year as a group; however, two of our bloggers have participated individually in previous years on personal blogs. We are excited to be blogging as a group and think that you will enjoy our different writing styles, food preferences and humor. Many of our posts will fall into the MoFo themes. To start off the MoFo month, we are sticking with the day 1 theme- Breakfast! 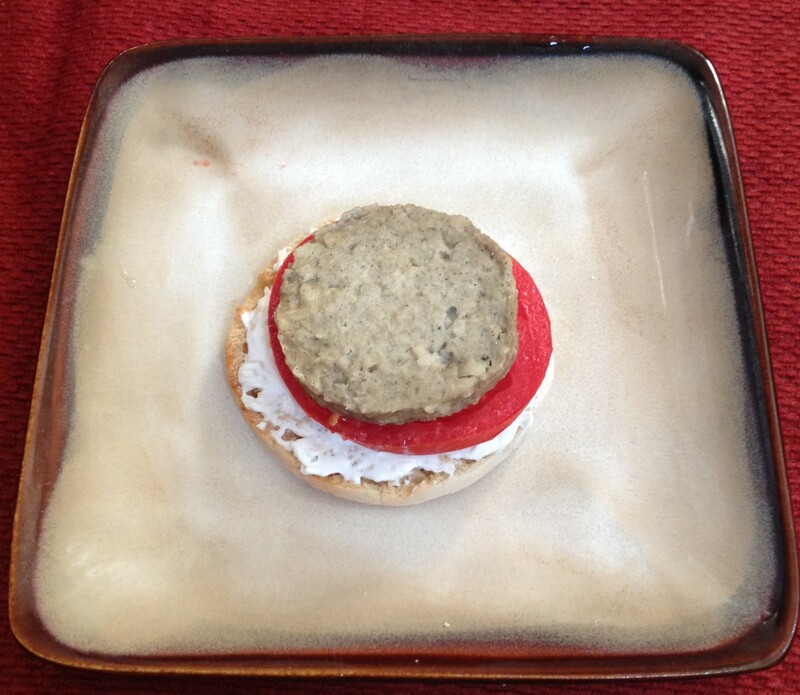 I’m a new mommy to a 7 month old and when I was pregnant, I got in the habit of eating the same thing every morning- a gluten free English muffin, vegan cream cheese, SoL patty and a tomato slice (if in season) or a squirt of ketchup. Along side this is a cup of coffee. (What? Like you’re surprised?) I like this breakfast so much that I still eat it now that I am no longer pregnant. The only difference is that I only eat a half of the muffin, instead of the whole thing. Nom, nom, nom! Lately, I’ve been liking vegan meat analogs and SoL patties are high on this list! I started eating the patties in pregnancy since they offer 7 grams of protein per patty. They also have a great taste and are not too salty and when cooked properly have a good texture (if they are under cooked, they can be sticky). I usually zap them in the microwave, but if I’m feeling fancy I’ll warm them up on a pan on the stove. If I’m feeling frisky on the weekend, I’ll make a tofu slice or The Vegg Scramble and have a sandwich with a slice of vegan cheese. 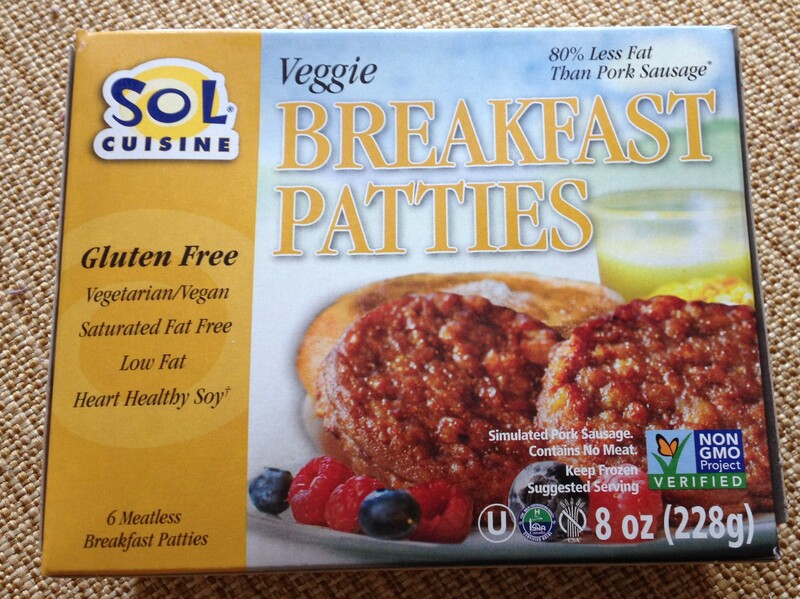 Before going vegan, I was a vegetarian teenager and the SoL patties remind me of the patties I used to eat. My grandfather abstained from meat for religious reasons three times a week and I enjoyed eating with him on those days. My grandmother would make us delicious vegetarian meals throughout the day and a veggie sausage patty was usually included in breakfast. Having these patties remind me of my grandfather and how he made me feel a bit normal when I felt like I lived in a sea of weird. At some point I plan to vary up my breakfasts a bit, but it is just so easy with a baby. Happy Vegan MoFo’ing! Previous That’s A Lot of Latte! Thanks for commenting on my Instagram! Jump over to my site and comment and I will add you to my blogroll! Can’t wait to see your upcoming posts! Happy Mofo!